1.3. A Cabriolet from Infiniti South Africa Vehicle valued at R 700 000.00. (“the Infinity Vehicle”). (Collectively referred to as “the Grand Prize”). 3.1.1. Top Billing will run a weekly competition from 15 August 2013 to 28 November 2013 in terms of which viewers stand a chance to win weekly prize sponsored by Woolworths (“Weekly Competitions”). 3.1.4. Entries for first Weekly Competition will commence on Thursday, 15 August and will close at midnight on Wednesday, 21 August 2013. The winner of the first Weekly Competition will be announced on Top Billing on 22 August 2013. 3.1.5. From Thursday, 22 August 2013 until 28 November 2013, the entries for the Weekly Competitions will commence at the start of each episode and will close at 21h15, at the start of the 4th ad break, during that episode. The winner of each of these Weekly Competitions will be announced during a three-minute live broadcast at the end of the episode. 3.1.7. By entering Weekly Competitions you will also be entered into the Top Billing Dream Home Grand Prize Competition, provided that you are eligible to enter the Grand Prize Competition (Please refer to terms and conditions below). Regardless of the announcement of the Weekly Competition prize winner at the end of each episode, you will be entitled to SMS the keyword “Home”, the answer to the weekly question and your name to 33727 until midnight each following Wednesday for purpose of entering the Top Billing Dream Home Grand Prize competition. The closing time and date for entering the Top Billing Dream Home Grand Prize Competition will therefore be at midnight, 4 December 2013. 3.2.1. A second weekly competition will be run via the Private Property website in terms of which you can win an iPad mini each week. 3.2.3. Find a “code” on the virtual tour, and SMS the the keyword “iPad”, the code and your name to 33727 to stand a chance to win a weekly iPad mini prize giveaway (“Weekly On-line Competition”). 3.2.4. The Weekly On-line Competitions will be run through the Private Property website from 15 August 2013 until 4 December 2013. 3.2.5. Entries for each Weekly On-line Competition will close at midnight on the following Wednesday. 3.2.6. Winners for the first Weekly On-line Competition will be determined by a draw from the correct entries, and will be announced live on Top Billing on Thursday, 22 August 2013. 3.2.7. From 22 August 2013 until 27 November 2013, three finalist will be drawn from correct entries for each Weekly On-line Competition, who will be required to compete by means of a live phone-call on Top Billing each Thursday to determine the winner for that week’s iPad mini. 3.2.8. 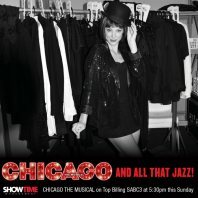 Please refer to the Top Billing competition page available at www.topbilling.com for information regarding prizes, rules and terms and conditions specific to the On-line Weekly Competitions. 3.2.9. By entering the Weekly On-line Competitions at any time during the period from 15 August until 4 December 2013, you will also be entered into the My Top Billing Dream Home Grand Prize Competition, provided that you are eligible to enter (Please refer to terms and conditions below). The closing time and date for entering the My Top Billing Dream Home Grand Prize Competition will be at midnight, 4 December 2013. HOW DO YOU BECOME A TOP TEN FINALIST? 4.1. Entries for the Top Billing Dream Home Grand Prize Competition will close at midnight on Wednesday, 4 December 2013, where after 8 (eight) of the Top Ten Finalists will be randomly selected via an automated system from a pool of participants, who SMS’d the most correct answers in respect of the Weekly Competitions on Top Billing. 4.2. The 9th (ninth) Top Ten Finalist will be randomly selected via an automated system from the winners of the On-line Weekly Competitions who entered during the period from 15 August 2013 to 4 December 2013. 4.3. In case you were not able to enter every Weekly Competition on Top Billing, the 10th (tenth) finalist will be randomly selected from all participants who SMS’d a correct answer to any one of the Weekly Competitions from 15 August 2013 to 4 December 2013. There are no restrictions on the number of entries that you may enter. You may enter as many times as you like to increase your chances to be considered as the 10th (tenth) Top Ten Finalist. 6. 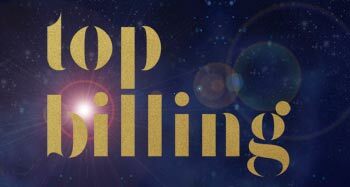 The Top Ten Finalists will be flown to Cape Town at Top Billing’s expense, where they will compete in an elimination challenges over a period of 2 (two) days from Friday, 24 January 2014 to Saturday, 25 January 2014. 7. Top Billing will provide flights to Top Ten Finalist to and from major airports within South Africa only for participants who do not reside in Cape Town and surrounding areas. The finalists will be required to arrange for transport to one of the major airports at their own expense. Top Billing will provide for transport in Cape Town if required. 8. Top Billing will contact each Top Ten Finalist to make the necessary travel arrangements for the trip to Cape Town. 9. Top Billing will appoint a panel of judges to determine, in their absolute discretion, the elimination of the Top Ten Finalist participants and to determine the winner of the My Top Billing Dream Home Competition. 10. The Top 10 elimination challenge will be broadcast on Top Billing on Thursday 30 January 2014. 11. The Winner will be determined Saturday 25 January 2014. 12. 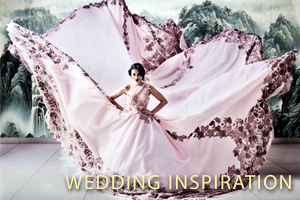 The Winner will be announced on Top Billing on Thursday, 30 January 2014. These are the general terms and conditions for the My Top Billing Dream Home Competition (the “Competition”), which rules will govern the relationship between you and Cardova Trading Proprietary Limited. By entering and participating in the Competition, you agree to be bound by these general competition rules. Entries for the Competition will commence on 15 August 2013 and will close at midnight on 4 December 2013. 15.7. Not be an employee, director, member, partner, agent of and/or consultant of Tswelopele Productions Proprietary Limited or Cardova Trading Proprietary Limited, their parent, subsidiaries, affiliates, associated and group companies (“hereinafter collectively referred to as the “organizer”), a supplier of goods or services in connection with the competition or be associated with any other company or person involved in the Competition, their families or agents or the SABC, including agencies, UIP and/or their spouses, life partners, parents, children, brothers, sisters, business partners or associates. 15.8. If you are announced as the winner – you must not be barred or disqualified by any authority from taking delivery and transfer of the prize or any portion thereof. 16.4. The Top Ten Finalists will be randomly selected from the entries in accordance with the Competition Rules, by means of an automated system. The organizer, its agents and the SABC accept no responsibility for any problems or technical malfunction of any communication network or any late, lost, incomplete, misdirected, incorrectly submitted, delayed, illegible or corrupted entries. The organizer, its agents and the SABC are not liable for any costs incurred, responses received or any other consequences of user error. 16.5. The organizer, its agents and the SABC reserve the right to cancel, modify or amend the Competition at any time, if deemed necessary in its opinion, and if circumstances arise outside of their control. 17.1. Where the Top Ten Finalists are randomly drawn from a list of cellular phone numbers, the owners of the respective SIM cards will be deemed to be the selected Top Ten Finalists, even though the handset may have been used by another individual to enter the Competition. 17.2. Top Ten Finalists, who are not contactable by phone, within 24 hours after the closing date/time for entries, will be disqualified and a new Top Ten Finalist will be drawn. 17.3. Should you be selected as a Top Ten Finalist, the organizer may contact you prior to the announcement of the Top Ten Finalists, or at any time thereafter, and request you to provide proof of a valid South African ID/Passport, age, valid Driver’s License and/or any such other documentation, which are deemed, in the sole discretion of the organizer, necessary to determine your eligibility to enter the Competition. Failure to provide the requested proof of eligibility will result in your disqualification, and a new Top Ten Finalist will be drawn. 17.4. If selected as a Top Ten Finalist, you agree to make yourself available for the entire period from 23 January 2014 to 26 January 2014 to travel to Cape Town to participate in elimination challenges of the Competition, which participation will be filmed and broadcast on Top Billing. If a selected Top Ten Finalist is, for any reason unable to, or refuses to make himself/herself available during the aforementioned period, or to attend and/or to participate in the elimination challenges of the Competition, he/she will be disqualified and the organizer shall be entitled at its sole discretion to select a different Top Ten Finalist. 17.5. If you are a one of the Top Ten Finalists you agree to participate in the Final Round of the Competition to be filmed on 24th January 2014 to the 25th January 2014, which participation will be filmed and broadcast on Top Billing on Thursday, 30 January 2014. 17.6. The organizer shall not be liable for any damages, compensation or the like arising from such disqualification as stipulated in paragraphs 17.2 to 17.4 above. 17.7. The judges’ decision with regards to both the selection of the Winner is final and no correspondence will be entered into. The organizer, its agents and the SABC will not be held responsible for any disputes arising from the Competition, selections or prize awards. 18.3. The delivery and passing of the Grand Prize to the Winner is subject to the necessary approvals being obtained from the applicable regulatory authorities and the Winner not being legally barred or disqualified from acquiring and taking delivery and transfer of the Grand Prize or any portion thereof. In the event of the latter being the case, or said approvals not being granted within 60 (sixty) days from the handover, the organizer shall be entitled to cancel the award and the Winner shall not have any claim against the organizer for any damages, compensation or the like arising from cancelling the award. In the event of cancellation of the award as contemplated herein, the organizer shall be entitled to award the Grand Prize to the Top Ten Finalist who was adjudged to be the runner up in the Competition. 18.4.1. You agree to accept the Grand Prize on the date of the handover. 18.4.2. You agree to accept the Grand Prize, including but not limited to the Apartment, furniture, appliances and the Infiniti Vehicle, voetstoots. 18.4.3. You agree not to sell or attempt to sell the Apartment or the Infiniti Vehicle within the first 12 (twelve) months from the handover date of the Grand Prize. 18.4.4. You will use prizes that comprise the Grand Prize at own risk. The organizer, its agents and the SABC shall not be liable for any loss (including, without limitation, indirect or consequential loss), damage, personal injury or death which is suffered or sustained (including but not limited to that arising from any person's negligence) in connection with this Competition or accepting or using the prize/s. 18.4.5. You acknowledge that the Winner will be announced on Top Billing at the conclusion of the final round to be broadcast on the 30 January 2014 and that the prize handover will take place thereafter in April 2014. You agree to be filmed and to appear on Top Billing, and to further allow photos and video footage to be taken during the handover of the Grand Prize. 18.4.6. You agree to release the rights to use, display, and distribute those photos and any video footage to the organizer and the SABC to use for promotional purposes including releasing those photos and videos to the internet where they will be made public. 18.4.7. You agree to make yourself available (for no financial consideration) to the organizer and the SABC for such reasonable promotional appearances, press conferences and/or photo shoots as may be required. 18.5.3. You will not be liable for any direct cost or fees, including legal fees, associated with the transfer and registration of the Apartment in your name or any occupation rent or interest from the date of occupation until the date of transfer into your name. 18.5.4. You agree to accept and to accord with the Mirage Body Corporate – Conduct Rules, a copy of which will be handed to you on the date of handover of the Grand Prize. 18.5.5. You acknowledge and accept that after the period of 12 (twelve) months from the date of handover has lapsed, you will be liable to pay the Levies with regards to the Apartment. 18.6.2. Insurance on the vehicle for the first 12 (twelve) months from the date of delivery of the vehicle shall be paid by the organizer, where after you will be responsible for same. 18.6.3. The vehicle will be available to be collected at the Infiniti South Africa Show room. 18.6.4. You will be required to collect the vehicle in person and at your own expense. 18.6.5. You must make necessary arrangements to collect the vehicle on such date and time provided by the organizer. 18.6.6. You must have a valid driver’s license and South African Identity document. 18.6.7. You will be required to provide all the necessary FICA documents to transfer the vehicle to your name. 18.6.8. You must agree to all terms and conditions related to the transfer process of the vehicle. 18.6.9. You must agree to the paperwork associated with the transfer process of the vehicle to effect registration of ownership. You agree that the organizer has the right to film, record, tape and photograph you during and in connection with your participation in the Competition .You hereby assign to the organizer all present and future intellectual property rights and related rights (including, without limitation, copyright and performer’s property rights and all like rights) in and to your appearance in Top Billing, any recordings, videotapes, photographs and/or any other materials created by or on behalf of the organizer pursuant to this Competition (the “Footage”). You hereby grant all necessary consents, under the Copyright, Act 1978 or otherwise, to the organizer and its affiliates worldwide to use and exploit all rights assigned to the organizer under this clause forever and throughout the world in any and all media now known or hereafter discovered, without restriction, and unconditionally and irrevocably waive, in favour of the organizer, its affiliates, licensees, assigns and successors in title, such rights under Sections 20 of the Copyright Act 1978 (as amended from time to time) and, so far as is legally possible, any and all moral rights or similar rights as you now have or hereafter acquire anywhere in the world in relation to your appearance in the Footage and every part thereof. All right and title in and to the Footage shall vest in the organizer, and the organizer shall be entitled to use and exploit the Footage in whole or in part, in the Competition or any production thereof or otherwise, as it may at its absolute discretion determine. The organizer shall have the right to assign and/or license the rights (including the Footage itself or excerpts thereof) granted to the organizer under this agreement to third parties without restriction. Any personal information collected by the organizer during the course of this Competition will be used solely in connection with the Competition and will not be disclosed except to the extent strictly necessary for the Competition. The organizer, its employees, agents, the SABC and sponsors of the Competition, disclaim all liability to the greatest extent permissible at law, for any loss suffered by an entrant in connection with of the Competition.